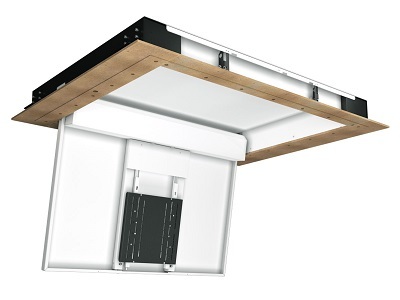 The Future Automation CHR Series for TV’s from 32” to 65” is a completely new re design of the old CH series of ceiling tv lift hinge, the new design incorporates some brand new installer friendly features. 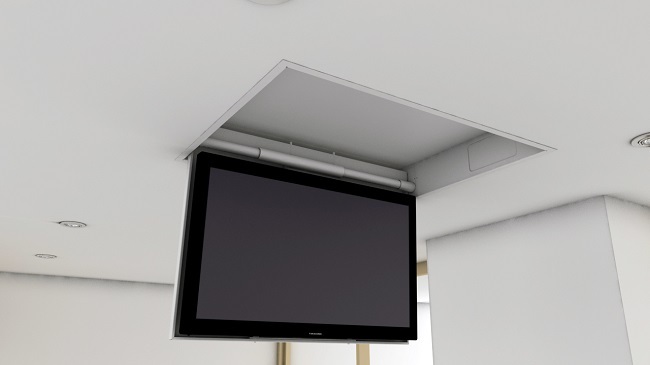 The CHR series of TV lift mechanism allows Flat Screen Televisions from 32 “up to 65" to be discreetly concealed horizontally within a ceiling and then with a press of a button, hinged downward through to 100 degrees for perfect viewing. 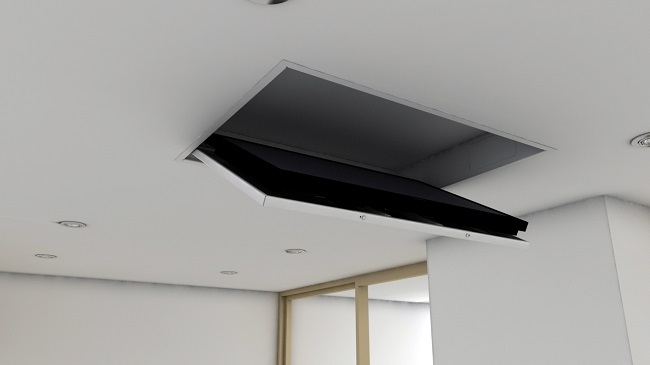 The CHR series is perfect when you have relatively small ceiling void areas, or when you have limited floor, wall space allowing televisions to be concealed unobtrusively when not in use. The CHR range of ceiling hinge TV lift mechanisms can be controlled by RS232, contact closure and as standard comes complete with an IR remote control making it fully integratable with most brands of home automation control systems. Also available is a RF remote option which will allow the lift to operate by remote out of the line of sight, a handy addition if the unit is not being configured to an existing control system. 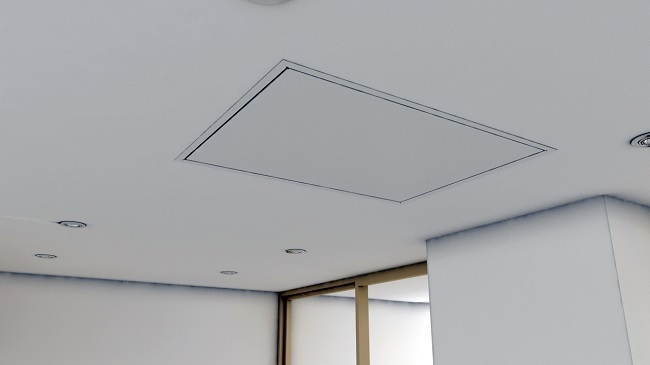 The New CHR range features an MDF "Plaster In Edge" this allows for a neat installation into the ceiling, designed to eliminate any visibility on the ceiling flange around the mechanism itself. This fantastic new addition helps to create the perfect seamless installation with only the thinnest of shadow gaps around the lid when closed. All the CHR units are shipped as one whole unit ready to install this greatly reduces the chance of errors upon installation and streamlines the entire installation process. Range of sizes from 32" up to 65"
Screen Size Up to 42" Up to 55" Up to 65"
For more information please see the links below.